Steel tie rods are manufactured from two forms: round steel tension bars and tie bars with upset forged ends. The thread is either cut or rolled onto the tieback anhors. We can produce the most comprehensive tie rod system in the world. Marine tie rods diameter from 20mm to over 300mm. 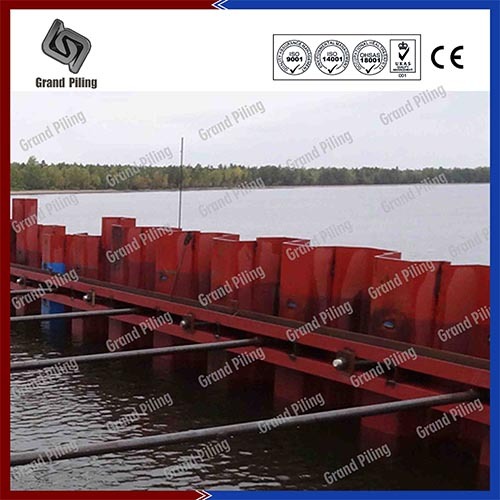 Tension bar steel grade from S235 S460 up to S1030(minimum yield strength 1030Mpa). Tie bar quantity from 2500 tons in Paksitan Qasim port project,to only 3 pieces in UK poole combiwall system,there is no order too big or too small for us. 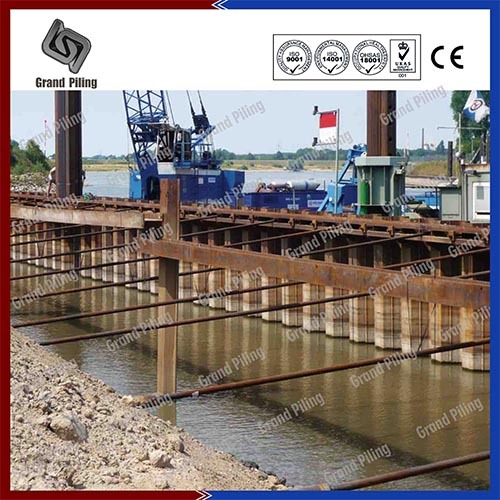 We can supply tie rods with our sheet piling,pipe pile in a package. Our factory is the exclusive combination of designing, manufacturing, testing of sheet pile tie rods in China.With 4 professional product lines namely forging product line, heat treatment line, machine-work line and surface treatment line, our annual production capacity exceeding 35 thousands tons There are also many advanced equipments in the product line such as 15m ultra-long electric heating mantles,15m large-sized ball blast machines, automatic numerical control machines, and 2500t,2000t,1000t,500t forging machines designed and manufactured by ourselvs. 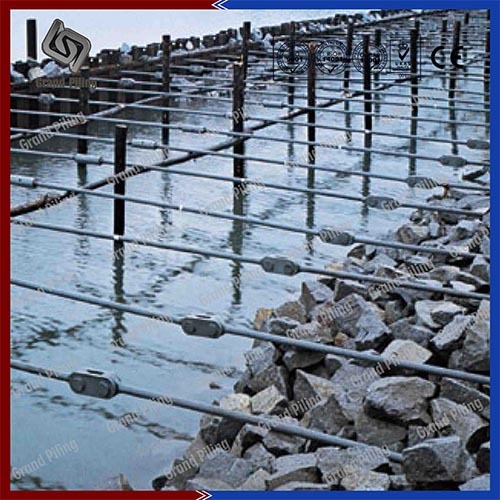 Tie rod systems can be used for marine and geotechnical applications like coffer dam, sheet pile wall and retaining walls. Retaining load is transferred from wall through waling and tie rod, dead man or pressure grouted anchorage into the ground. The load of tie rods and tie backs may be transferred through a dead man or pressure-grouted anchor into the surrounding ground. For pressure-grouted anchorages the minimum load transfer length can be presumed to equal the bond length along the drill hole surface.